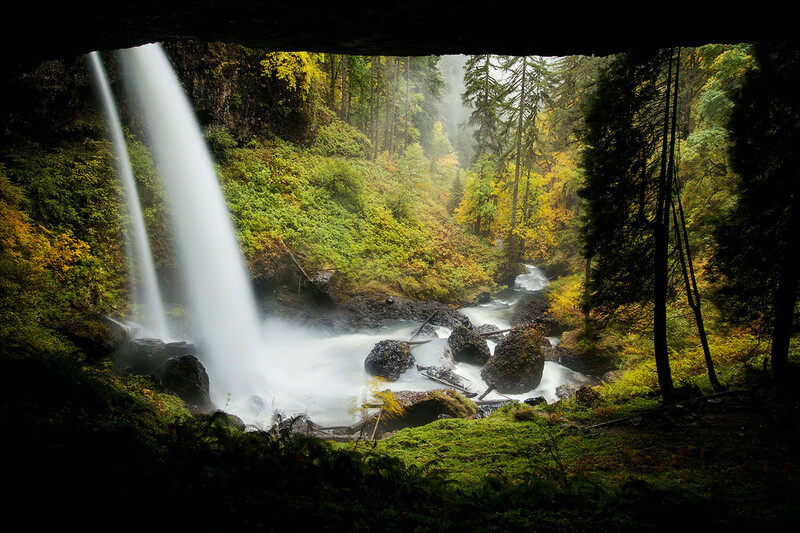 Across a bridge, along a narrow path, down stairs slick with condensation, past the switchback, and into the cavern behind the waterfall is the path to one of the magical places in Oregon. The roar of the falling water and the spray it kicks up keeps the area cool and tranquil. Often low clouds cling to the trees in the early morning and stubbornly hang on until they are driven back by the warming day. It is enchanting and engrossing; everyone should visit it because although I like my solitude in such places they are too beautiful not to share.